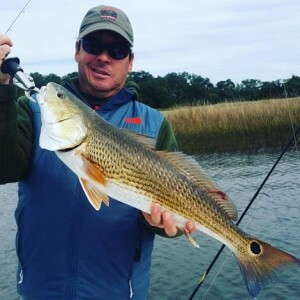 Charter Fishing in Charleston and Folly Beach remains solid as Redfish and Speckled Trout continue to provide reliable action for anglers of every age and skill level. With air temperatures reaching into the 50’s or better on most days all you need coat and layer underneath to be more than comfortable. Above all else the fishing has been good. We have been working schools of Redfish with soft plastics made by Z-Man and DOA. These baits have produced best when fished in moving water at the last half of the outgoing tide or the first half of the incoming tide. 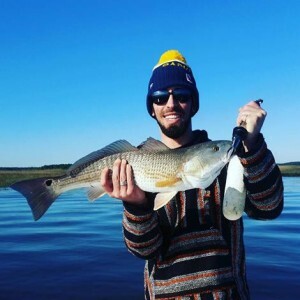 For the crowd that enjoys casting live or cut bait in the path of a moving school of fish cut mullet, crab and mud minnows continue to bring Reds to the boat. 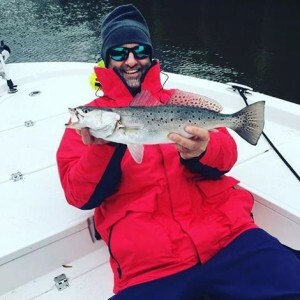 Our fishing charters have also been targeting Speckled Trout with Live shrimp, mud minnows and a variety of soft plastic baits. Contact me directly or talk to the crew at your favorite tackle shop to find out what’s working best before you go. From the Kiawah River all the way up the Wando, Cooper and Isle of Palms area the water has cleared considerably making sight casting a part of almost every trip. In those situations long accurate casts are the key to maximizing the number of bites you may get during your day. There are plenty of good tides and mild days ahead of us. Throw on a coat and meet me out there. These great folks in the pics below are happy they did!